As the Artificial Implantable Kidney Research Team is getting ready to present their research at the American Society and Nephrology, they recently announced insights about Clinical Trial Locations and the future of the device. According to the Artificial Implantable Kidney Researchers, clinical trials will likely take place at multiple locations within the United States. However, as with patient criteria, the location of each Clinical Trial will not be confirmed until trial approval is granted. 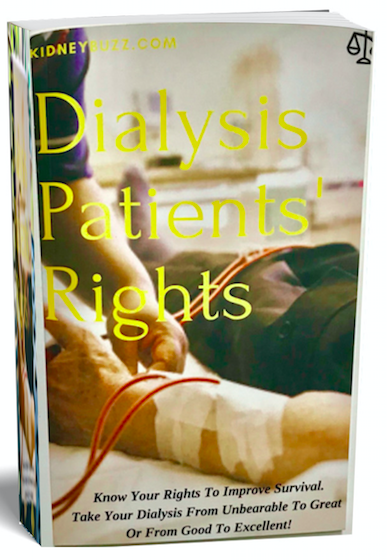 Recommended Reading: Will A Smaller & Lighter Wearable Artificial Kidney Give CKD And Dialysis Patients Desired Freedom? While it is almost certain that the first Human Trail will likely take place in San Francisco, CA or Nashville, TN, as these are the locations where the majority of The Kidney Project team is based; additional rounds of Human Testing can be expected in other states. Keep on alert for updates and be sure to continue to sign up for consideration below. In terms of the future progress of the Artificial Implantable Kidney, the Team shared that they have secured funding from a public-private partnership called, KidneyX. "This collaboration between the US Department of Health and Human Services and the American Society of Nephrology is an exciting initiative to focus funding and attention on YOU, patients with kidney disease who strive for and hope for a better treatment for kidney failure." The researchers hope that the partnership will allow the device to move along through testing with fewer financial roadblocks. “What has been completely lacking is high-level financial support for early-stage technology innovation and design-inspired proposals,” noted the Research Team. The Team was very direct with criticism about financial support which has potentially slowed the progress of the device, “A significant part of the timeline’s problems arises from the 'it’s too hard' and 'it’s too complex' mindset that has crippled support and success so far…Instead, promising technologies that have shown promise such as the bioartificial kidneys should be the focus.” With continued support, we hope to see the device research have fewer 'fits-and-starts' through Human Testing. Trial dates are expected to be announced in 2019 so stay tuned. Like and share this article so that others are aware of the latest. Also, leave a comment about the next locations you would like the trials to be held. We will pass this information along. Are you still excited about the Artificial Implantable Kidney? If you received a call to take part in Human Trials, would you travel to another state to participate? Share your thoughts and insights with the over 80,000 Friends who have liked KidneyBuzz.com on Facebook (click here). Also, follow the over 250,000+ monthly individual viewers who visit KidneyBuzz.com regularly. Erica Ashley Jenkins (Dialysis Nurse) said, "Hello I just wanted to let you know I work in a dialysis clinic and over half of our clinic reads this page, we enjoy everything you put on and love to have new information. My patients are very grateful."